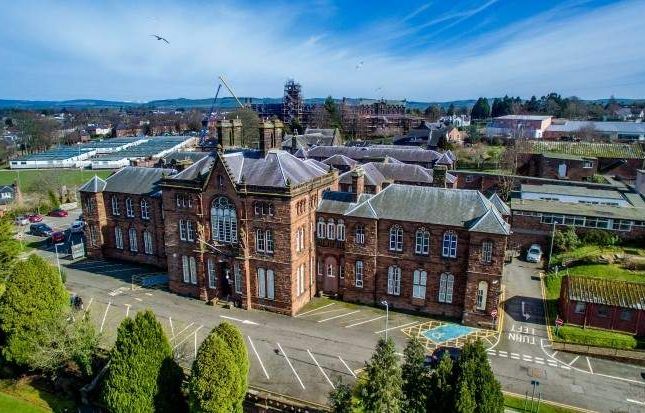 This striking group of buildings has been declared surplus by nhs Dumfries and Galloway and is now offered for sale. The buildings are generally of red Locharbriggs Sandstone with a series of pitched and slated roofs and sit within ample landscaped grounds. The site as a whole extends to 9.46 acres and the accommodation totals 27,308 sq ft.